Running with Zithers........: Birregurra Community Arts Group supports 2016's Musical Mondays! Birregurra Community Arts Group supports 2016's Musical Mondays! In 2016 we will be moving the Running With Zithers enterprise to The Anglican Church Hall, Birregurra. Running With Zithers has experienced a ‘crescendo’ during 2015 and has outgrown our cottage, therefore, as of the 1st of February 2016, the Monday zither groups will be ‘running’ at The Anglican Church Hall. The times are 2pm-3:30pm in the afternoon and 7pm-8:30pm in the evening. Afternoon & evening groups will alternate weekly and will start with a daytime group on February the 1st which means the 1st evening group will be on Monday the 8th of February. They will continue throughout the year, except school & public holidays. BYO zither or use one of ours. Zither groups costs are $10 per attendance and you will be given the opportunity to purchase the tune-sheet of the week for another $5. All are welcome. But wait, there's more - Announcing Private Music Lessons! The weekly, all-day availability of the Church Hall provides the opportunity to hold one-on-one music & instrumental lessons in collaboration with Birregurra’s excellent music-makers. With the support of the Birregurra Community Arts Group, we are very excited to announce private music & instrumental lessons for all ages, following the Australian Music Examination Board’s syllabus. Whether you choose to sit the exams for each level is entirely up to you, but you will be given the opportunity to do so. During these lessons you will be learning to read music. Zither – using a chromatic melody zither. Learn to play the zither without tune-sheets. Piano, Violin, Brass and Blues Harmonica. In negotiation are Voice and Ukulele and we will endeavour to expand the repertoire throughout the year. Costs for these lessons are at the discretion of each tutor and they will operate Mondays, during the Victorian School terms. We will be introducing the individual tutors during the month of January on this and the Birregurra Community Arts Group website - so watch this space! 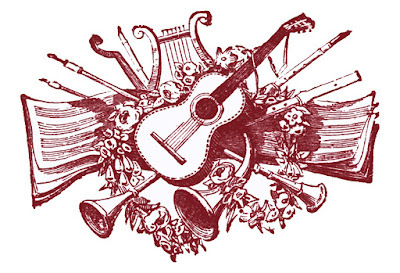 To register your interest in a particular instrument and for details on how you can be involved in Musical Mondays at The Anglican Church Hall contact Angie on runningwithzithers@gmail.com or 0408 379 499. ...WAIT, still more - the Birregurra Singing Circle - a part of Musical Mondays! As part of Musical Mondays, the Birregurra Singing Circle, former Gospel Choir, will meet every 2nd Monday (except school & public holidays) at 7pm, also at the Anglican Church Hall. The Singing Circle is open to all ages and aims to find the instrument we all have – our voice. 1st session – Monday, Feb 1st 2016, 7pm.